WAPA-TV’s new Grass Valley Ignite Konnect studio automation system works well with its RS-LDX C80 Elite robotic cameras. WAPA TV, based in San Juan, Puerto Rico, has upgraded its Grass Valley Ignite newsroom automation system to Grass Valley’s Ignite Konnect platform. 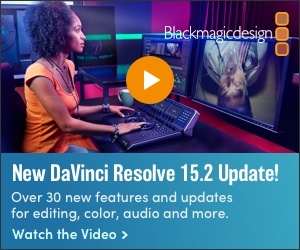 According to station executives, the move done to simplify production of its newscasts and establish an improved workflow to provide viewers with a better experience for live events and breaking news. 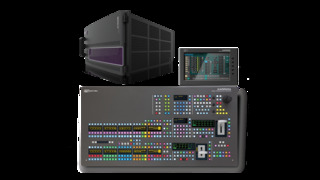 The Grass Valley Ignite Konnect platform includes new features that deliver easier, more streamlined operations, due to the system’s seamless integration with the Grass Valley Karrera K-Frame Series video production switcher and several RS-LDX C80 Elite robotic cameras; which were all installed at WAPA-TV as well. The RS-LDX integrated robotic cameras feature BT.2020 wide color gamut support, as well as optional native HDR support using the SMPTE ST 2084 and HLG formats. While the RS-LDX captures community news and events in the field, Ignite Konnect, with full integration of Karrera switchers with Ignite Production Automation, allows a single operator to manage control room devices used to produce live newscasts and event programming. The Karrera K-Frame S-series offers WAPA-TV operators multiformat support and a full range of features in a compact 6 RU video frame. The Karrera K-Frame S-series offers multiformat support including—1080p and 4K UHD—and a full range of features in a compact 6 RU video frame, with 3 M/Es or 2 M/Es and up to 80 inputs and 48 outputs. In combination with Ignite, the system is designed as the industry's first and most complete link between the control room and the newsroom, making it possible to control on-air timing, accommodate last-minute show changes and direct any type of production on the fly. To further ease the pressure of breaking news production, the production automation platform also gives operators visibility to filter changes that occur during live productions and condenses and simplifies the event library. As a secondary production switcher, WAPA TV also purchased a Grass valley Korona K-Frame S-series switcher. The system, available in 1, 2 or 3 M/Es, offers a choice between three control surfaces with a built-in touchscreen menu system, innovative touchscreens in transition areas, and a K-Frame S-series video processing engine.